All sorts of gems are hidden in the archives of Relative Something posts, and last night I uncovered a jewel to repost today. As exciting as my day yesterday was, what with my landing an appointment with a Craigslist buyer to stop by and make another decluttering purchase, and our new favorite tractor tire repairman showing up to finish the other tire (Yay! ), none of it blossomed into a bigger story for me. The single sentence above easily wrapped up the significant events of the day. 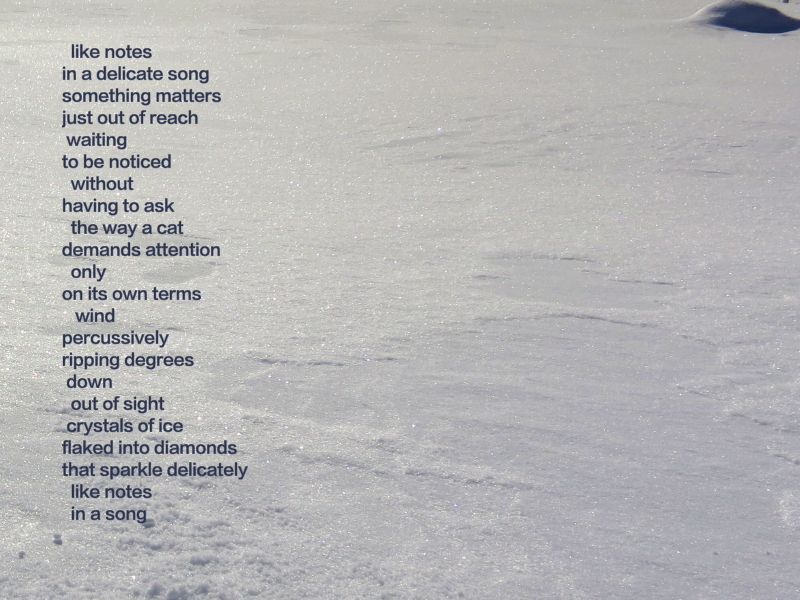 Well, I found a “Words on Images” creation from early 2014 that should fill in nicely, aligning with the oncoming bout of cold and sunny winter-like weather on tap for the next few days here. 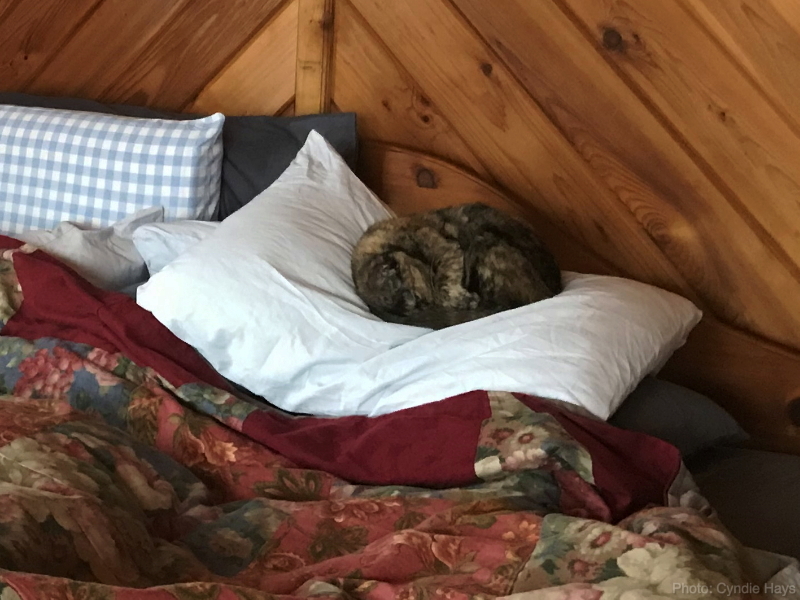 In honor of the cat mention included in my poem below, I’m throwing in this bonus picture that Cyndie recently took of Pequenita behaving like royalty on Cyndie’s pillow.